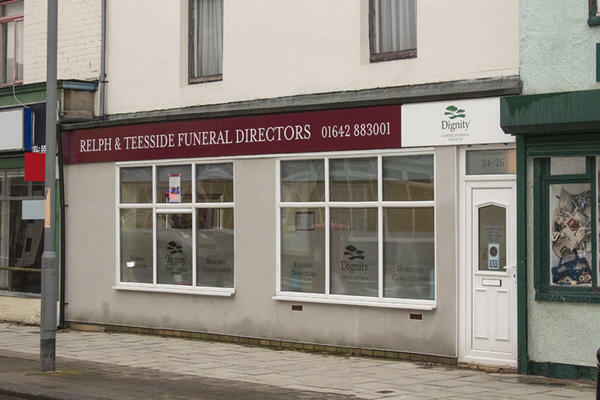 We are Relph & Teesside Funeral Directors in Billingham, and we are here to help you arrange the perfect farewell for your loved one. We support our cherished local community by providing dignified, compassionate funeral services, setting the bar for high standards of funeral care. Our funeral home is equipped with two private chapels of rest which you can use to spend time alone with your loved one prior to the funeral service. We are memorial consultants, and we can help you to choose a fitting tribute to stand in memory of your loved one. We are here to support you 24 hours a day. Whenever you need our help, we will never be more than a phone call away. You can get in touch with us by telephone at any time. Call us today on 01642 883001 to talk through your personal requirements. At Relph & Teesside Funeral Directors, we understand how special life is with those that you love. For us, every funeral is unique and personal. We have a service to fulfil every wish, with every detail carried out with the same uncompromising quality of care. From a traditional service, to a colourful woodland burial, your options are limitless with our Full Service Funeral. If you have a little more flexibility when it comes to arrangements, then we can provide a Simple Funeral for a lower cost. There is a large public car park at the rear of the funeral home, and there is on street parking available. We are located on Station Road in the centre of Billingham. Our staff are available 24 hours a day on 01642 883001 if you require our services outside of these hours. Friendly, caring and well organised. This is the second time I have used Relph Funeral Directors in Billingham. I have been happy with the service provide both times. The service provided by Relph's was absolutely first class. Our Funeral Director Amanda was amazing ensuring that our wishes were carried out along with daily updates & along with her advice & expertise, made my wife's funeral a very special occasion. We couldn't have asked for anything more. A huge thank you! From the very first contact to the actual funeral, everyone especially Joe Johnson made this difficult time easy to cope with.